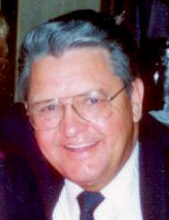 Bessemer City - Mr. Ed Bumgarner, 87, passed away on Monday, April 1, 2019 at White Oak Manor in Charlotte. Ed was born in Haywood County, NC on October 2, 1931, a son of the late William Stokes Bumgarner and Nicie Rowena Singleton Bumgarner. He was retired after many years as an insurance agent. Ed participated in Bible Conference Fellowships in different states and also home Bible studies. He enjoyed country and gospel music and was an original member of the Cherryville Music Makers. Ed played at area nursing homes for over 20 years along with the help of many other local musicians. He was a member of the Sons of Confederate Veterans and proudly served his country in the U.S. Navy during the Korean Conflict. In addition to his parents he was preceded in death by a son, Bill Bumgarner; two sisters, Jody Starnes and Tulan Bumgarner and two brothers, Hugh and Earl Bumgarner. Survivors include his wife of 63 years, Lorena Smith Bumgarner of the home; four sons, Stan Bumgarner (Kathy) of Cherryville; Scott Bumgarner (Gwynn) of Gastonia; Andrew Bumgarner (Carol) of Cherryville and Ron Bumgarner of Clover, SC; four grandchildren, Ryan Bumgarner (Amber) of High Shoals; Logan Bumgarner (Carolyn) of Cherryville; Amber Bumgarner of Boiling Springs and Robby Bumgarner of Cherryville; two great grandchildren, Carson Davis and Charlie Grace Bumgarner; two sisters, Lynn Mahaffey Eargle of Lexington, SC and Eula Williams of Spartanburg, SC. Visitation will be from 12:30 to 1:45PM on Wednesday, April 3, 2019 at First Baptist Church in Cherryville and at other times at the home of Andrew and Carol Bumgarner, 306 N. Houser Street, Cherryville, NC 28021. A memorial service will be held at 2:00PM on Wednesday, April 3, 2019 at First Baptist Church in Cherryville with Pastor Alan Hess and Pastor Jerry Warren officiating. Military Honors will be provided by Cherryville American Legion Post 100 Honor Guard. Memorials may be made to Cherryville American Legion Post 100, 215 N Pink St., Cherryville, NC 28021. Stamey-Cherryville Funeral Home & Cremation Service is serving the family of Mr. Bumgarner. To plant a tree in memory of Ed Bumgarner, please visit our Tribute Store. "Email Address" would like to share the life celebration of Ed Bumgarner. Click on the "link" to go to share a favorite memory or leave a condolence message for the family.